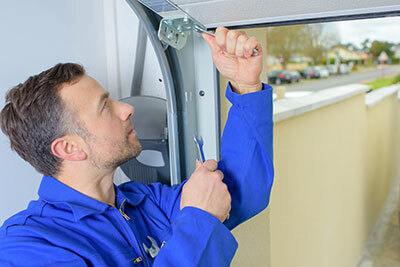 In addition to residential and commercial garage door repair and installation services, Corpus Christi Garage Door Repair provides specializes garage door opener replacements in and Corpus Christi, TX. Your satisfaction is our goal. 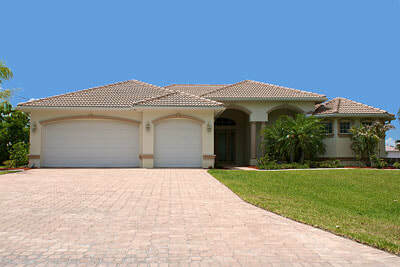 We want to provide you with the fast and seamless installation of garage door openers of all materials and styles. It’s important to understand that the driving force behind what makes your garage door so useful is its ability to lift and lower on command by the garage door opener. While DIY installation kits are available at local hardware stores, you will probably only have access to a few basic models. Also, if you happy to have any questions or difficulties during the installation process, you’ll be forced to handle them on your own. Instead of opting for this difficult task, our team is happy to provide you with professional, reliable service for all your needs. Our trained professionals are knowledgeable about all types of garage door openers. From chain drives, belt drives, screw drives and jackshaft openers, our technicians understand that each system has its own particular means of operating, as well as its own strengths and weaknesses. When choosing a garage door opener, you should always consider the following factors: price, horsepower, noise level and maintenance requirements. To understand these factors, you’ll also want to understand the construction and design of garage door openers. Garage door openers can be broken down into three components. First is the motorized operator, which is installed in your garage and is responsible for actually doing the work of hoisting and moving the door. Second is the remote, which is a device that can be taken with you or clipped inside of your car, and allows you to activate the opening mechanism with the press of a button. The third and final component is the fixed wall switch. This functions the same way as the remote, but is usually installed directly on the wall inside of your garage. For more homeowners, determining what kind of opener you need can be a challenge. How do you know if you need an opener with more horsepower? What brands of garage door openers can you rely on? How will you know if you’re getting a good deal on your new opener and accessories? Luckily, our team is here to help. We can answer all of these questions and more. We’ll help you narrow down the garage door opener that will best fit your needs—whether you are searching for quiet operation, security features, or speedy lifting and closing capabilities. When it comes to narrowing down your options for garage door openers, there are now five different kinds of openers on the market: chain-driven openers, belt-driven openers, screw-driver openers, direct-drive openers, and jackshaft openers. In terms of the least costly garage door openers installed for homeowners, you’ll find the chain-drive opener. While they are not very quiet when it comes to activating the opener and engaging the door in movement, chain drives are dependable systems and are very commonly used for residential garage doors. On the other hand, belt-driven openers are formed with a molded cable often made of either fiberglass, steel-reinforced rubber, or polyurethane is the component responsible for moving the trolley. These openers can operate very quietly, but can also be relatively costly to purchase—however, they do perform well and lack vibration. Another good choice for cost-savers are screw-driven openers. These openers do not perform well in certain climates, but they are known for their speed of opening. Direct-drive openers are another style that only utilizes a single moving part. Its motor glides along an embedded chain to pull the door, and it is marketed to families who have a need for very quiet openers. Direct-drive openers require little maintenance and are known for being smooth and powerful mechanisms. Finally, jackshaft openers are well-mounted units that are reliable, quiet and save overhead space in your garage. These openers are great for both high and low ceilings, and require little maintenance to run smoothly. With so many options, our team at Corpus Christi Garage Door Repair understands that choosing the right overhead door opener can be difficult. We’re happy to share our professional insights and advise you on what make and model best suits your specific needs. Just give us a call, and we can walk you through everything you need to know, along with how our installation process works.